Tell me more about the Let it Go Diet. The recipes are packed full of nutrients and taste delicious! While the title is called the Let it Go “Diet”, it is really a lifestyle change, not a “diet”? All of these recipes can and should be incorporated into your everyday life after you complete the program. 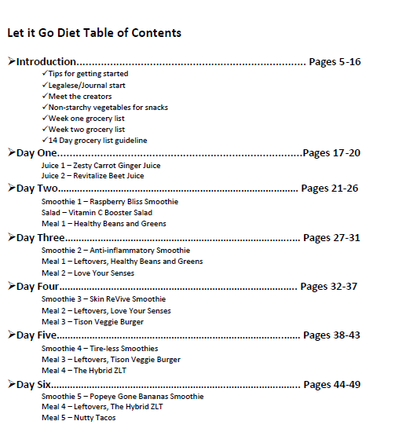 Here is the first page of the Let it Go Diet Table of Contents so you can see sneak peak of the program. It’s so simple. Clean eating means avoiding processed foods. It means staying away from white sugar, food additives, added sodium etc. Why is the program oil free? Oil (fat) contains twice as many calories as carbohydrates and protein. Oil is essentially a processed food. It is way too easy to add too much oil to foods, thus adding too many calories and contributing to obesity. It is better to get healthy fat from whole foods. For example it is better to get healthy fat from a whole olive than olive oil. Why should I complete the Let it Go Diet program? If I am trying to lose weight, why should I choose the Let it Go Diet over other weight loss programs? The problem that I often see with other programs is that my clients lose weight very slowly. Some weeks they might not lose any weight at all. 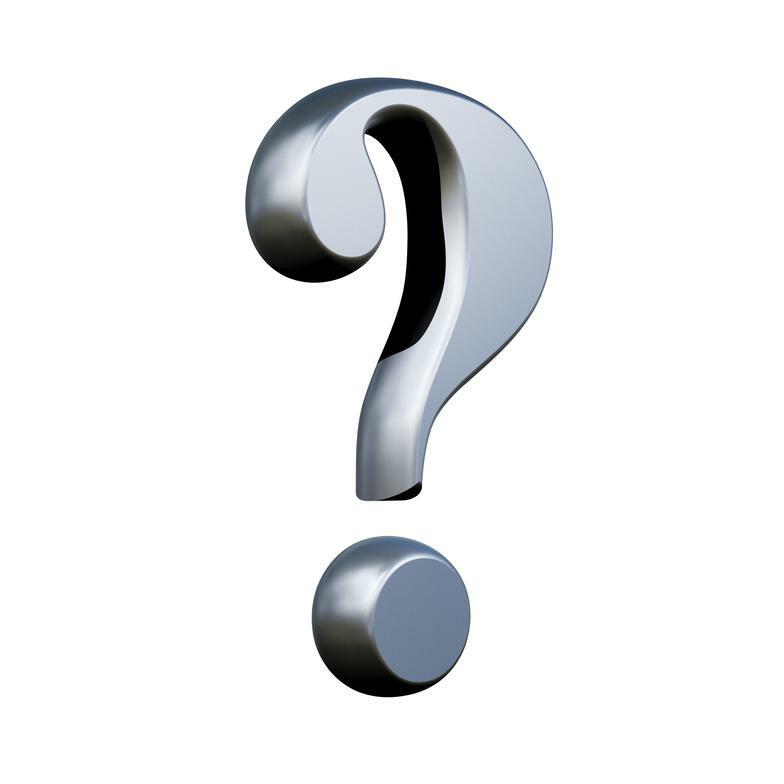 Can you imagine following a weight loss program to the best of your ability and not seeing any results?! With the Let it Go Diet you see results quickly. This gives you a feeling of accomplishment and keeps you motivated. After you reach your goal weight, a program like Weight Watchers can help you stay at your goal weight. It should also be noted that other weight loss programs are quite expensive, especially programs with prepackaged meals. We made the Let it Go Diet affordable because it is our desire that everyone eats clean and feels better. The cost of a visit with a dietitian can range anywhere from 120-300 per hour. This program was designed by a dietitian and gives you a step-by-step guide to follow. How do I keep the weigh off? Any time you lose weight, you must work just as hard to keep it off. When you weigh less, you must eat fewer calories than you did at a higher weight. A man weighing 300 pounds needs approximately 2800 calories to maintain his weight. If the man drops to 150 pounds, he needs only 2150 calories to maintain his weight. You need to make sure you are eating the appropriate calories for your new weight after the program or you will gain weight. Can I have an occasional chocolate treat on the program? The fact that you even bring that up should have you questioning, “Why do I feel like I need a chocolate treat?” Sugar is addicting. If you are thinking about chocolate before even starting the program, you are likely addicted to sugar. Research has link sugar addiction to the same receptors in the brain as drug addiction. You need to break that addiction! The great thing about the Let it Go Diet is that you reset your taste buds and after the program you will have an “ah ha” moment of just how addicted to sugar you were. Your cravings will diminish after the program and you will find yourself seeking out healthier foods. The Let it Go recipes will become part of your everyday life. Here are some important tips to help you keep weight off after completing the Let it Go Diet. It should also be noted that you can complete the Let it Go Diet again in 6 months if you need to get back on track with eating healthy. We all have slip ups.